All kids lie sometimes and a little dishonesty usually shouldn't be cause for alarm. Lying can become a bad habit when kids see it's an effective way to get out of trouble, however. So when your child tells a lie, address it in a straightforward manner and discourage it from happening again. Create a clear household rule that stresses the importance of honesty. This will ensure that your children understand you value the truth, even when it's hard to tell. Role model the behavior you want to see from your child—that means telling the truth all the time. 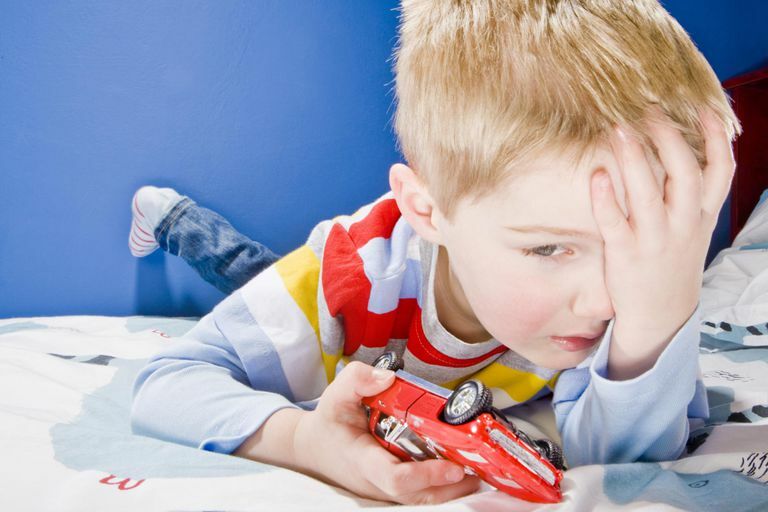 Kids can’t distinguish “little white lies” from other lies. Therefore, don’t lie about your child's age to get him the cheaper meal at a restaurant and don't say you aren't feeling well to get out of a social engagement you don't want to attend. Your child will imitate what he watches you do. No matter how old your child is, it’s important to explain the difference between telling the truth versus telling a lie. With young children, it can be helpful to say things like, "If I said the sky were purple, would that be the truth or a lie?" Talk about the potential consequences of being dishonest. It's equally important to talk about telling the truth versus being brutally honest. Kids need to learn that they don’t necessarily need to announce, “That’s an ugly shirt,” just because it’s honest. Balancing honesty with compassion is a sophisticated social skill that you should start teaching early. There are three main reasons kids lie: fantasy, bragging, or to prevent negative consequences. When you distinguish the likely reason for the lie, it can help you develop a plan to respond to it. Preschoolers often tell fantasy lies. If your child says, “I went to the moon last night,” ask, “Is that something that’s really true? Or something you wish was true?” This can help kids understand the difference between reality and make believe. If a child lies because he’s bragging, it may be that he has low self-esteem or wants to gain attention. He may benefit from learning new social skills and from engaging in positive activities to boost his self-esteem. All kids lie to get out of trouble sometimes. It’s important that their lies aren’t successful. Instead, make it clear to kids that you will be double-checking the facts. Give your child an extra consequence when you catch him lying. Instead of just taking away his electronics for the day, give him extra chores to do as well. Take away privileges or use restitution as a consequence for telling a lie. Talk to your child about the natural consequences of lying. Explain that dishonesty will make it hard for you to believe him, even when he’s telling the truth. And other people don't like people who tell lies. If your child has a bad habit of lying, develop a plan to help him re-establish trust. For example, create a behavior contract that links more privileges to honesty. When he tells the truth, he'll be one step closer to earning more privileges back. There are times when lying can become a serious problem for children. If your child’s lying seems to be pathological, or it causes problems for your child at school or with peers, seek professional help to address his lying.